Northampton Town have announced the signings of Peterborough United's Shaun Brisley and Queens Park Rangers' Darnell Furlong on one-month loans. The pair, both defenders, join the League Two side with first-team action limited at their parent clubs. 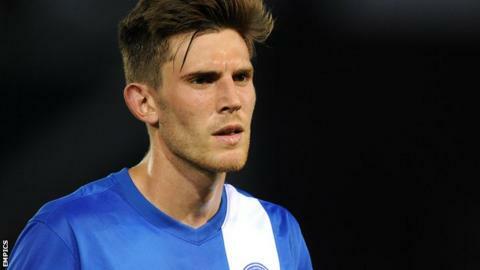 Brisley, 25, has played for League One Peterborough since 2012 and has made 79 appearances for them in that time. Furlong, 19, has been with QPR since 2014 and has made three appearances for the Championship outfit. He is the son of much-travelled former striker Paul Furlong, who is now part of Rangers' Academy staff.